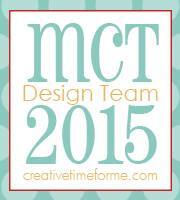 Today is Teach Me Thursday at My Creative Time! 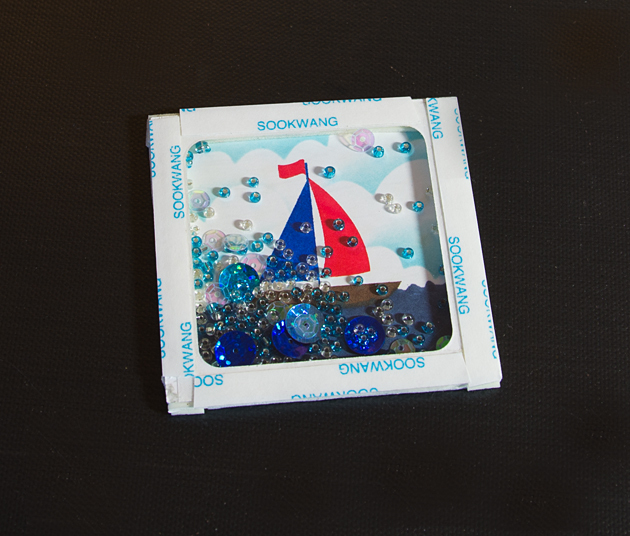 I have a tutorial to share on how to make this folded shaker frame window. 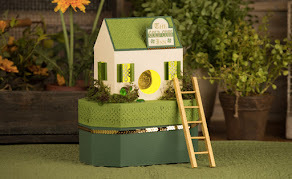 This is very easy to make and simple to assemble, I really love it with the shaker inside. 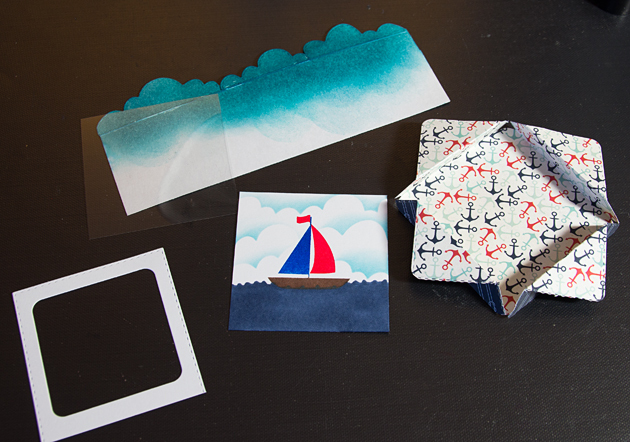 Here's some of the supplies I used, I ended up switching the ranger caribbean coast ink for ranger's blue ribbon. You'll also need some foam and score tape and a piece of acetate. 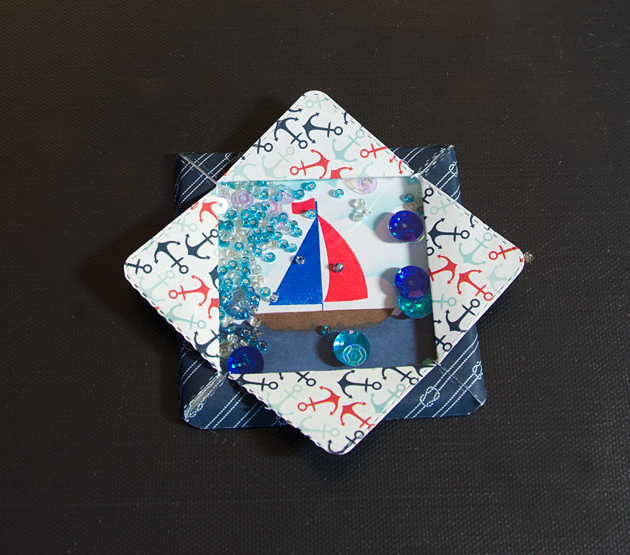 I cut the card front using the largest die from the Stitched Rectangular Frame Dies, the 4 x 4 and frame from the 4 x 4 Journal Die and More set and just a square white piece a little less then 2 1/2". I trimmed some off the bottom of the frame die so all sides are equal. You want to score in at each point of the 4 x 4 at 7/8" and 1 3/8", if you have a score board you can place the top point at 2 3/4" to keep it straight while you score it. 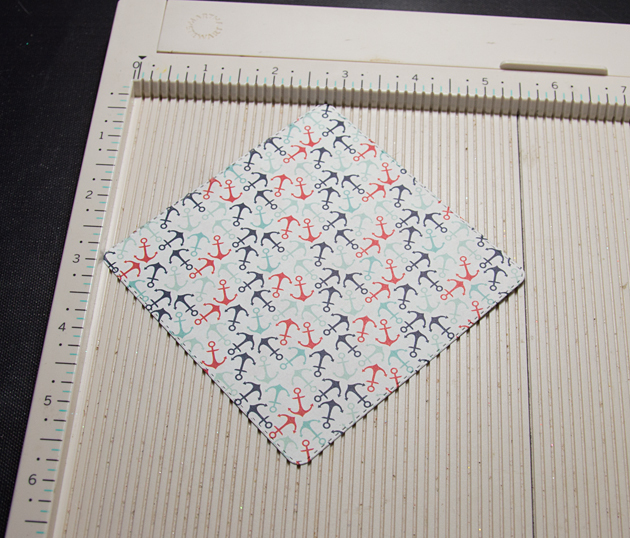 The 4 x 4 window is folded in on the 1 3/8" score and the 7/8 is folded out. I also pinched the corners down and rounded them with my corner chomper, but you can leave it square. On the white piece I stenciled some clouds, stamped and colored my image. I also cutout a piece of acetate a little less than 2 1/2" which is glued to the frame. I added a double layer of foam tape around the frame on the acetate side. 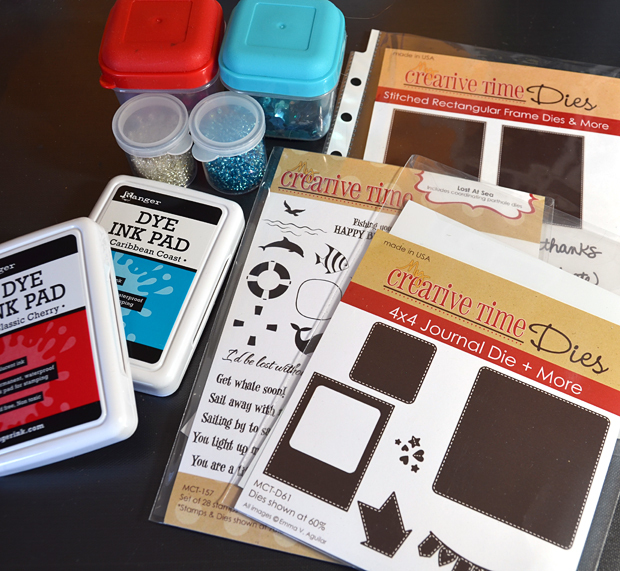 Now you can add your beads, sequins or whatever you'd like to your shaker and put the stamped image onto the foam tape. On the top of the frame you want to add some score tape or something that's pretty strong that will hold the flaps. Add some tape to the back of the shaker and put it into the window and pull the flaps so they cover the frame. 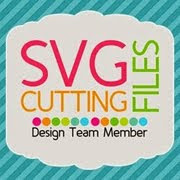 You can add some glue dots behind the outer flaps so they stay flat. 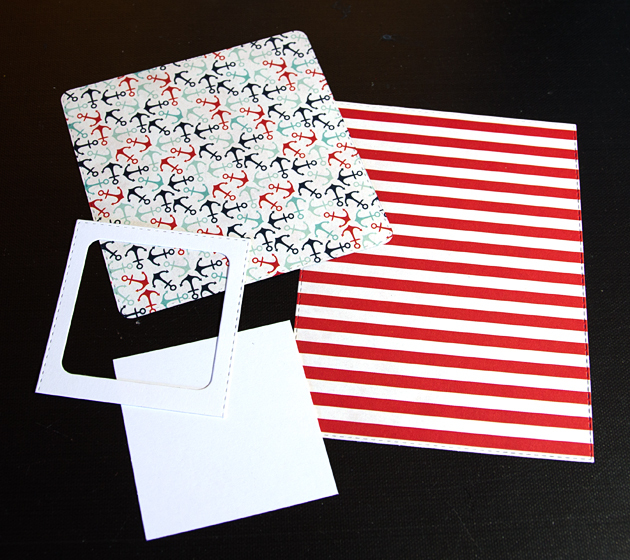 This is how it should look when finished, now it's ready to be glued onto your card. I've made folded window cards before but not as a shaker or with the dies, I really love how the stitching looks on it! 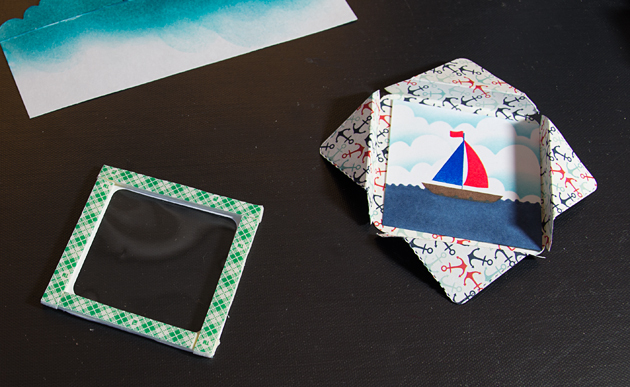 I hope you enjoyed this tutorial and get a chance to make one of these folded shaker frames. OMG Miss Brigit...WOW Your Shaker card is amazing and so cute!! Thanks for your awesome recipe and great pics. Love the papers you chose too..WOW definitely a super outstanding creative job....Love....LOVE the ways you used Miss Emma's goodies. YOU so ROCK!! This is ADORABLE!!! Thanks so much for the tutorial! I definitely want to try! 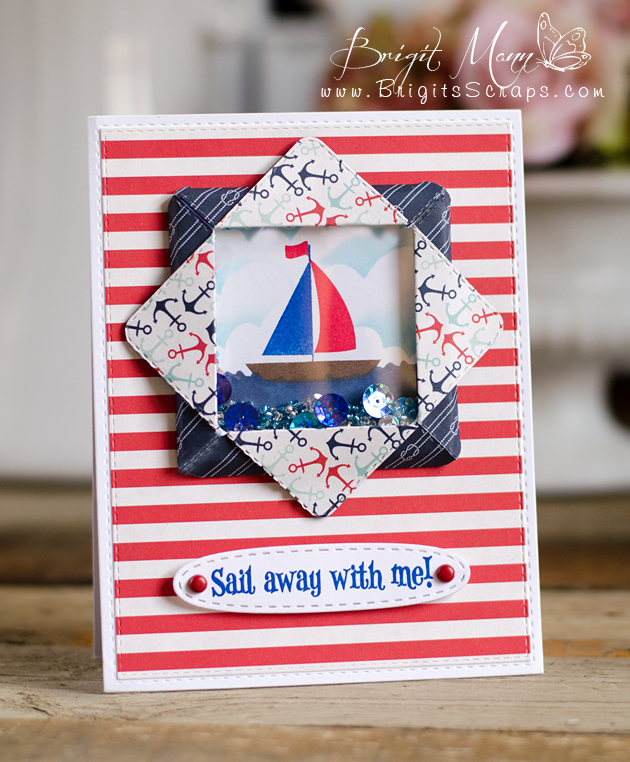 Brigit I absolutely love this tutorial, I've made hundreds of cards but haven't made one shaker card! 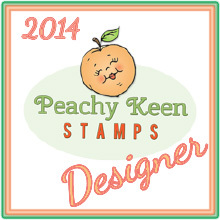 However, this one has got me wanting to make one! Thanks so much for sharing this! Beautiful card...love the little boat scene and sky! Great job on your tutorial also. I have not done this technique and now I know how...fabulous job.